Alina knows she is not real – the fae queen spun an evil web to create her – but she wants more than to spend her days feeding off humans' energy to survive. She isn't content to lose herself in the dangerously attractive Reign. She wants a life of her own making. Desperate to help the man who saved her life, Alina vows to find his missing sister. Alina is convinced that the general of the Fae Authority plays a part in her disappearance. She infiltrates the organisation and gets close to their strongest fighter. But while Samuel's tormented soul and masterful touch stirs in Alina a feeling of being human again, her loyalty to Reign makes her Samuel's enemy. Who should she trust? Alina's life has been turned completely upside down since she discovered the truth about her creation. Knowing she's a construct, a being created by the powerful fae queen, and that the time she has left is limited has left Alina floundering. She may have destroyed her creator rather than carry out the task that she was actually made for but she wants to do something positive with the rest of her life before it's over. She owes her friend, Detective Danny Andrews, a debt for saving her life so she plans to track down his missing fae addicted sister as repayment. She is sure that the General of the Fae Authority was involved in Becky's disappearance so she decides to go undercover with the group to investigate. As she gets pulled deeper into the Fae Authority she finds it harder and harder to figure out who she can trust and when a rogue group of fae help to kick off a dangerous chain of events Alina's loyalty is torn between old friends and new ones. Alina and Reign have both been through so much and their relationship is understandably strained thanks to the link the queen created between them. Reign is keeping Alina at a distance and she's feeling more alone and desperate than ever. She is struggling to accept the revelations from the end of the last book and it's left her wondering about who she really is and why she even still exists. Alina tries so hard to be a good person but thanks to her heritage she has done some things that can't be undone and it's quite heartbreaking watching her deal with the aftermath of Andrews' addiction to her. I love that she always tries to do the right thing though and I enjoyed seeing her work so hard to try and find a place for herself within the Fae Authority. She makes some fun new friends who I hope we're going to see a lot more of and I wasn't even upset by the introduction of a love triangle (see some authors CAN still pull those off even though they normally make me want to throw my kindle across the room at even a hint of one!). I was slightly disappointed that we don't see as much of Reign in this book but that was completely understandable considering the way the plot unfolded and the introduction of Samuel, Nyx and Scaw made up for it. It was great to see Alina's confidence grow as she spent time training alongside the rest of the Fae Authority and she's certainly not someone you'd want to go up against now she's come into her own. It isn't easy for her to fit in amongst the other warriors, especially since so many of their members died when they fought her to protect their queen, but she slowly carves out a place for herself and starts to earn their respect. This series just gets better and better, it's fast paced, full of action and so completely full of twists that you'll have trouble remembering which way is up. 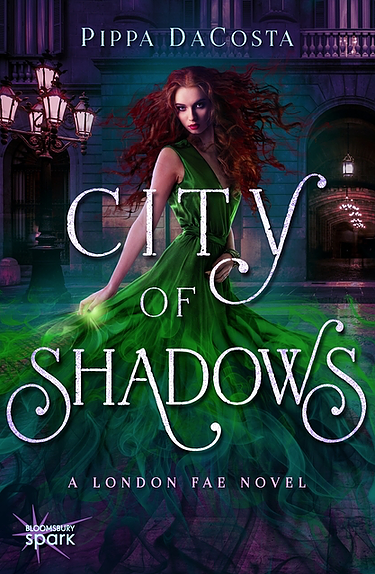 Magical creatures are causing mayhem all over London and it is up to Alina and the rest of the Fae Authority to try and stop them. Throw in a group of rogue fae who are up to no good and things are about to go downhill fast. We get to find out a lot more about where the fae came from and how they ended up on earth which was really interesting and it's opened up to take this series in a completely unexpected direction. I can't wait to get my hands on the next instalment and find out where it takes Alina next. I can't wait to read this, it looks amazing! Well that totally explains why I couldn't get on with this book, I had no idea that it wasn't the first in the series, I just thought there wasn't enough exposition and I had no idea what was going on.